Welcome back! I have a new book release to talk about! Yes, that’s right, my twenty-fifth book released this week, an inspirational romance about a young widow who is unexpectedly forced to begin a new life with her two young children. 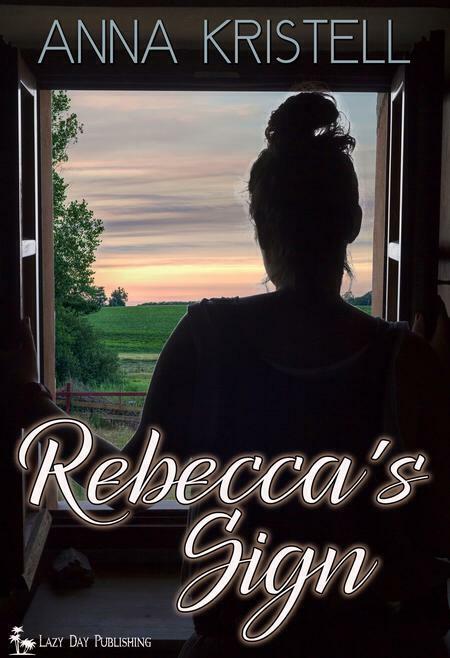 Rebecca’s Sign was released earlier this week by LazyDay Publishing and I’m going to share the blurb and an excerpt with you tonight. Suburban housewife, Rebecca Long, has lived the American dream for several years. When her world suddenly comes crashing down around her after the sudden death of her husband and she is left to fend for herself and her two young children, she makes a drastic change and moves her family across the country. Settling on the Texas ranch of her aunt and uncle, she accepts a job keeping the books for neighboring rancher, Seth Winters, leaving behind the life she’s grown accustomed to. Seth has been left at the altar by a fiancée who couldn’t face life on the ranch. Can two lonely hearts find the courage to give love another chance? Or will circumstances beyond their control keep them apart forever? yellow kitchen wall she sighed. If Roger didn’t get home soon, their dinner would be ruined. husband was anything, he was dependable. “Mommy, I’m hungry,” her daughter, Kaci, said as she ran into the kitchen. stood back, waiting for the steam from the hot oven to escape before taking their dinner out. She had just filled the children’s plates when the doorbell rang. herself looking at the two police officers standing on her doorstep in surprise. “M…may I help you?” she asked. “Mrs. Roger Long?” one of the officers asked solemnly. “Yes, I’m Mrs. Long,” she replied hesitantly. proceeded to show her their identification. allow them to enter her home. “Would you ask her to come over, please?” the officer asked kindly. Within minutes, Marci and her husband, Charlie, were at the door. tightly to Rebecca’s hand. By now, both women were frightened. to?” Rebecca screamed as she stood up. who by now had figured out what was coming next. “Are you positive?” Charlie asked the officer. Of course, there is a mystery surrounding the death of Roger, and the things revealed to Rebecca in the days that followed his death were shocking to her. I hope I’ve piqued your interest enough to want to one click and find out the rest. Will she find the strength to move forward for the sake of her children? Will she receive the signs from Roger she needs?